Whilst borrowing from horror both classic (The Innocents) and more recent (The Others, producer Guillermo Del Toro’s The Devil’s Backbone), Bayona’s debut film is a worthy addition to cinema’s haunted house canon: visually and sonically striking, economically constructed, and with a superb central performance from Belen Rueda as a woman reconciling herself with grief both past and present. Haunting, unsettling and deeply moving, one of the best chillers of recent years. 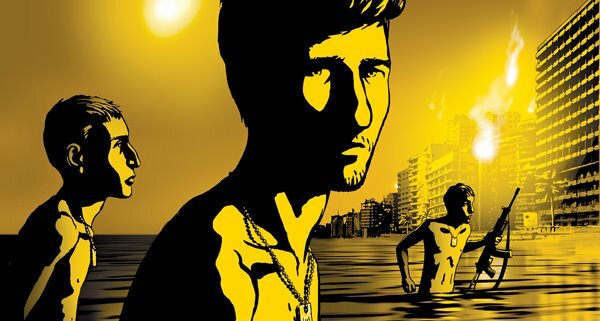 Animated documentary, a bold aesthetic choice of form, examining Israeli filmmaker Folman’s (and his country’s as a whole) amnesia of his role in the events which led to the Sabra and Shatila massacre in Lebanon in 1982. Superb in its balancing off of realism and its more fantastical flights of fancy, it stands as a distinctive, thoroughly engaging and thought-provoking piece of work, and one which will surely considerably influence the documentary form for many years to come. Truly remarkable debut feature from British visual artist McQueen, centring on the events in the Maze Prison in Northern Ireland in the early 1980s which notoriously led up to the death of IRA member Bobby Sands, yet with clear reference to the current political climate. Demonstrating both a distinctive visual style and an impressive filmmaking range, the film clearly points to greatness in the future for the director. On balance, I was overly critical in my initial assessment of the film: for its trivial faults (personal gripes on my part) it is undoubtedly the best British film of the year – visceral, uncompromising, daring, and considering its subject matter, surprisingly politically unbiased. The Orphanage – the first film that whilst watching it a woman sat beside me and asked if she could sit beside me as she was scared.